Hello, friends! Get ready for lots of fun (and dancing) with Funko Pop Yo Gabba Gabba. The imaginative Nick Jr. series translates well to vinyl, featuring bright colors and most of the main characters from the television show. 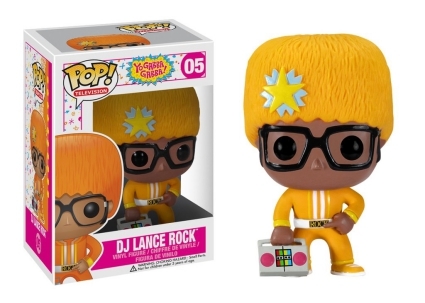 DJ Lance Rock, the man in charge of mixing fun and music, kicks off the Funko Pop Yo Gabba Gabba list. 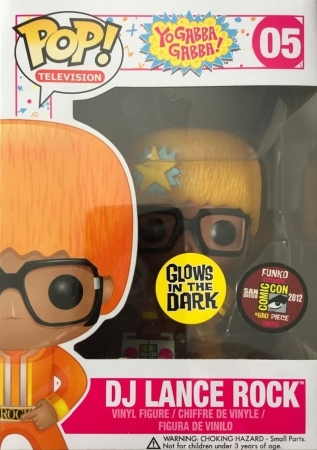 Rock has a main figure and glow-in-the-dark 2012 San Diego Comic-Con exclusive. Both options for the Yo Gabba Gabba! host show his fuzzy hat, square-framed glasses and classic boombox. Although Brobee stands with his arms down, the green-striped little guy still appears to be having a good time given his big smile. 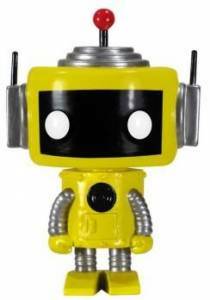 Shop for Funko Yo Gabba Gabba Figures on Amazon. 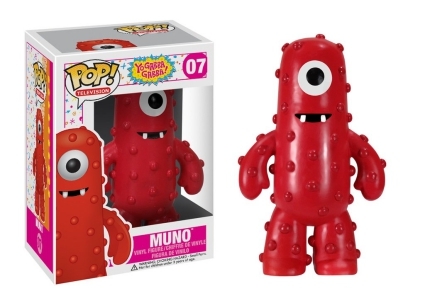 Time to "razzle dazzle" with the red cyclops Muno, or you could just join him in watching bugs. 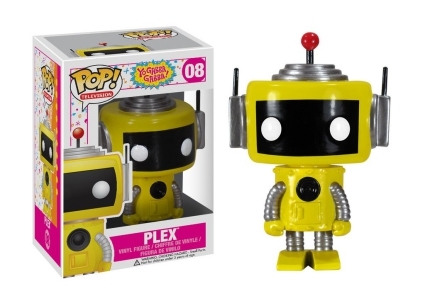 Collectors can also find a Plex figure, which is a perfect replica of the magical yellow robot. 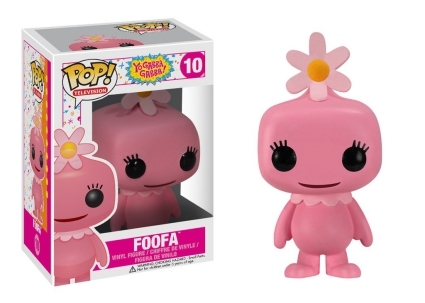 Rounding out Funko Pop Yo Gabba Gabba, Toodee and Foofa are two of the show's most outgoing and happy personalities. 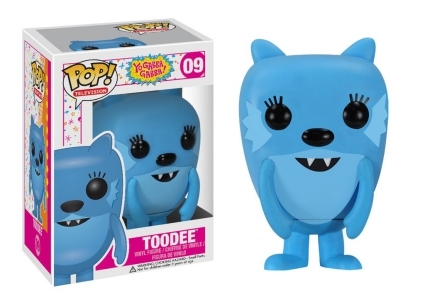 Toodee, a cat/dragon-like hybrid, has small ears and her sharp teeth are revealed with a smile. Also grinning, the all-pink Foofa is posed with a yellow daisy on her head. Funko Pop RARE VAULTED Yo Gabba COMPLETE Lance Foofa BEST PRICE! FREE SHIP! 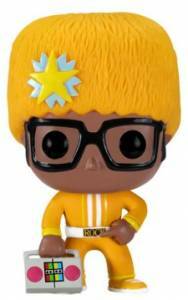 Funko Pop RARE VAULTED Yo Gabba Gabba Foofa Lowest Price! FREE Shipping! 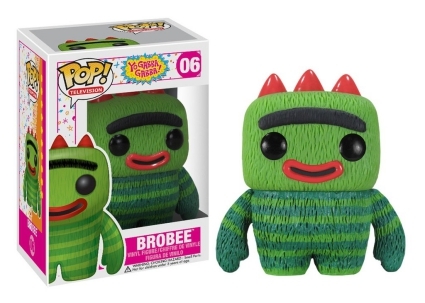 Yo Gabba Gabba Funko POP! SET OF 6.!! BREND NEW! NEVER DISPLAYED!